Our Library Committee meets regularly to consider and purchase additions to our excellent collection of 4,000+ books and multi-media items. Suggestions for items to be added to the collection are most welcome. Please send suggestions to Natalie Gorvine, Acquisitions Committee Coordinator. 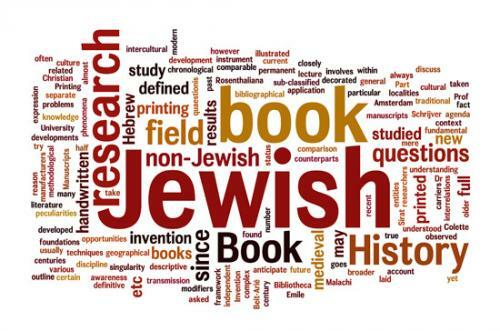 We welcome donations of books of Jewish interest, in good condition, particulary those published in recent years. However, please confirm we can accept your donation, as space is limited. Do not drop-off boxes of books in the Library! Contact Eileen Levinson, Catalogue Coordinator, to confirm your donation can be used before leaving it in the Library. What’s New in the Mishkan Library? This 2013 publication is a major study of Mordecai Kaplan’s thought by the foremost American scholar of Kaplan’s life and theology. Professor Scult does much more than summarize Kaplan’s theology. He has read everything – published and unpublished – that Kaplan wrote, including his voluminous diary; this reading has enabled him to identify the sources of Kaplan’s ideas, some of which will surprise readers. As in his other writings, Professor Scult makes complicated ideas intelligible for the general reader as well as for other scholars. I consider this book a must read for members of a Reconstructionist synagogue. In this fascinating book, Yossi Klein Halevi follows the lives of the Israeli paratroopers who liberated the Old City of Jerusalem in 1967. We learn who they were and the parts of Israeli society from which they came before the Six Day War. By following the trajectory of their lives from 1967 to the present, the reader becomes immersed in the major events and trends in Israel’s history. This book is a history that reads like a novel. This is a controversial book that will stimulate many reactions from various sectors of modern Jewish life. The author argues that Zionism and the Holocaust will no longer be the central components in the identities of future generations of American Jews. He is particularly drawn to the Jewish Renewal Movement as defined by Rabbi Zalman Schachter Shalomi. In his explanations for the development of a post-ethnic Judaism in America, Magid draws on history, culture, and theology. His is a learned, provocative book worth a close reading. This is not a complete history of movies about Jews. Rather, it is thematic. The four themes, each one analyzed in a separate chapter, are “The ‘Jew’ as Perpetrator;” “The ‘Jew’ as Victim;” “The ‘Jew’ as Hero;” and “The ‘Jew’ as Anti-Hero.” Bartov avoids what he calls “complex theoretical analyses.” Rather, he traces historically “the manner in which, from its very beginning, the cinematic representation of the ‘Jew’… has revolved around the status of the ‘Jew’ as represented in the four themes.” Bartov has provided us with a fascinating study, easy to read. Rabbi Cohen (z”l), a student of Rabbi Mordecai M. Kaplan (z”l), made aliyah to Israel and was one of the founders of Mevakshei Derech (Seekers of a Way), a Reconstructionist congregation in Jerusalem. In this, his last book, he answers many of the critics of Kaplan’s thought. He then proceeds to lay out a view of Reconstructionism suitable for both Israel and the Diaspora, the effect of which is to democratize Judaism. Rabbi Cohen remained a Kaplanian to the end of his life. I recommend that this book be read in conjunction with Professor Mel Scult’s recent book, The Radical American Judaism of Mordecai M. Kaplan. The author has arranged this collection of poems by Jewish poets according to theme: love, loss, family relationships, death, alienation, war, and renewal. Some of the poems were written in English; others are English translations from Yiddish and Hebrew. The format of the book makes each poem easy to read and to recite out loud. The poems evoke a range of emotions in the reader – sad, happy, angry, spiritual, wistful responses. They are feelings the language of poetry can bring about in all of us. At the end of the book, the author gives us “Eight More Ways to Say Kaddish,” through pieces written by modern Jews. Then, in an informative appendix, she returns to the practical: “Writing a Will,” “Health-Care Directives,” “Final Arrangements,” and “Ethical Wills.” She also includes a helpful glossary, bibliography and resources, and notes. Anita Diamant does all of the above in just 266 pages. Her style is highly accessible. This PBS documentary gives us a window into the vanished world of Eastern European Jewry. Archival film footage, photographs, traditional cantorial music – they are all here. Unlike Fiddler on the Roof, this documentary does not romanticize the lives of the Jews. Poverty, crowded conditions, ever-present anti-Semitism are all here. So are Hasidism and the clashing political views of Bundism and Zionism, each convinced that it had the answer to the Jewish problem. And we see the joy of living in a close-knit community. Rabbis, rebbes, balebustes (homemakers), shuls, and heders (Jewish schools) appear as well. This is a DVD worth viewing. This book is an adventure story, not an adventure in the usual sense of the word, but an intellectual search for and close examination of the documents found in the Cairo geniza. A geniza is a place to store sacred Jewish texts that are no longer usable. This geniza also contains letters, poems, wills, marriage contracts, money orders, heretical writings, trousseau lists, prescriptions, petitions, and magical charms. However, a great many - if not most - of the documents were not whole and literally had to be pieced together. Indeed, the cover of the book is a photograph of Solomon Schechter sitting and sorting and examining scraps of torn parchment scattered over tables and stacked in boxes. What emerges from the long hours of tedious but loving work of Schechter and others is a fascinating view of a medieval Mediterranean Jewish society. This book is a must-read for members of Mishkan Shalom. Rabbi Teutsch has spent decades studying and experiencing the difficult task of building a strong spiritual community. In this book he shares his insights with us. Throughout American history all Americans, including Jews, have struggled with the problem of creating community in a society that stresses the value of individualism. Indeed, many of the efforts to do so have failed. In this regard, one would do well to supplement the reading of Rabbi Teutsch’s book with Arthur Goren’s New York Jews and the Quest for Community: The Kehillah Experiment, 1908-1922. Goldstein’s play on the word revisions is a clear invitation to see what she means. Her title is not Revisions, but ReVisions. The effect of this on the reader is to pique one’s curiosity as to what lies within the book. The author deals with Biblical women as well as “the rites, rituals, and beliefs of our ancestors.” All in all, it is an original vision of Torah as seen by a modern Jewish woman. This book is local history at its best – not a mere collection of random facts, but the story of a community engaging with one of the key American issues of the second half of the twentieth century: black-white relations. Perkiss puts the West Mount Airy experience into a national context. The first chapter is an overview of the problem of housing in the United States. Further, in every chapter when she is dealing with another aspect of West Mount Airy’s history, she gives the reader the national context. Good history is a story – a story that ordinary readers as well as scholars can enjoy. However, it is more than that. Good history is analytical; it informs us about the reasons for the events and for the actions of the participants in the events. Perkiss is a master storyteller; she weaves her analyses into the story without interrupting the flow of the narrative. The story begins during the 1950s and early 1960s when a group of middle-class white liberals were determined to create an integrated community in West Mount Airy. They were motivated both by a desire to live in a safe, middle-class community, and by a commitment to the ideals of social justice and equality. African Americans, on the other hand, were motivated mainly by the prospect of having the material benefits of middle-class life. It was not easy to accomplish the shared goal. The proponents had to battle the blockbusting efforts of unscrupulous realtors, and they had to persuade nervous whites to remain in place. Clergy were involved in a coordinated effort, and laymen organized the West Mount Airy Neighbors Association (henceforth WMAN). One of the leaders of WMAN was George Schermer, the director of Philadelphia’s Commission on Human Relations. Germantown Jewish Centre became one of the centers of the community. Rabbi Elias Charry organized outreach efforts to newcomers to Mount Airy, and he even showed relevant movies in the synagogue – e.g., a fictionalized account of a middle-class black family moving into a white neighborhood. Then came the Black Power movement of the 1960s. It manifested itself in Philadelphia in the person of Cecil Moore, the fiery head of the Philadelphia NAACP chapter. He accused middle-class African American residents of being Uncle Toms and of selling out poor blacks in other parts of the city. He targeted prominent African American leaders like Judge Raymond Pace Alexander, a highly regarded civil rights leader. The local public schools, particularly the Henry Elementary School, became a flashpoint. Community leaders used the school as a selling point with white middle-class home seekers. However, when the School Board redrew district lines and black children poured into the Henry School, the balance between white and black students was threatened. Class size increased, and many programs had to be cancelled. To cope with these problems, the School Board appointed a new principal, Beatrice Chernock, in 1957. Ms. Chernock’s efforts to keep white families in the Henry School are a fascinating story in and of themselves. At the end of the 1960s and early 1970s violent crime increased in the United States, and West Mount Airy was not immune to its effects. This development, coupled with urban deindustrialization and the consequent loss of jobs, had a devastating effect on African Americans in so-called inner cities. In West Mount Airy the rise in crime led to a serious divide between blacks and whites. As Perkiss puts it, “…some upwardly mobile African American homeowners … made the decision to organize on their own behalf,” creating the West Mount Airy Action, Inc. That group organized a neighborhood watch that patrolled the streets at night. The new organization clashed with the WMAN. In one memorable meeting that Perkiss describes in her book, members of the two groups screamed at one another. Eventually WMAA dissolved itself. Frank Rizzo appeared on the scene in the late ‘60s and early ‘70s. Perkiss does something seemingly impossible: she treats Rizzo almost sympathetically! To treat a polarizing figure like Rizzo in this way is one of the marks of a fine historian. In her last chapter, “The Choice to Live Differently,” Perkiss tells us about life in Mount Airy today. When the Reconstructionist Rabbinical College moved to Wyncote, students at the college and young rabbis began moving to Mount Airy. What particularly attracted them was the presence in West Mount Airy of three charismatic rabbis – Arthur Green, Arthur Waskow, and the founder of the Jewish Renewal movement, Zalman Schachter-Shalomi. Gay and lesbian couples also found Mount Airy a safe place to live and become part of the community. There is much more to the story than I have outlined here, and Perkiss does it all in 173 pages. READ THE BOOK! (You will, by the way, recognize the familiar names of a number of former and current Mishkan members in various places in it.) And even if you are not a professional historian, look at the endnotes and the bibliography. This will show you how much research good historians have to do. Perkiss has mastered the secondary literature and has delved into the relevant archives. In addition, she has interviewed individuals, and I believe that she used oral history recordings. Kol hakavod! Abby, I tip my academic cap to you. P.S. My wife Natalie and I are contributing a copy of Making Good Neighbors to the Mishkan library in Abby’s honor.